(BERLIN/DENVER, January 9, 2019) – Understanding that security is equally as important to small and midsize companies as large enterprises, XeroxVersaLink® and XeroxAltaLink® family of business printers support ThinPrint software. ThinPrint’s solution ensures end-to-end encryption of print data and efficient compression and streaming of print data, delivering printouts at faster rates. ThinPrint print management solution already optimizes printing for over 25,000 companies of all sizes worldwide. Aside from print data encryption and compression, other valuable core functions include printer mapping as well as driver management for all potential scenarios. In addition, there are important technologies included to ensure high availability printing as well as easy integration of branch offices into the existing print infrastructure. “We have worked successfully with Xerox on a number of major projects,” says Bernd Hausmann, Director Business Development Printer Manufacturer at ThinPrint. “We are pleased that support for our software is now included as standard in this important Xerox product line.” Xerox VersaLink and AltaLink family printers equipped with the latest firmware support ThinPrint technology. A free trial version of the ThinPrint solution is available at www.thinprint.com/demo.For more information on the Xerox VersaLink and AltaLink portfolio, visit https://www.xerox.com/en-us/connectkey. ThinPrint press releases are available at https://press.thinprint.com/, photos athttps://press.thinprint.com/media. ThinPrint, with nearly 20 years of continuous development and internationally patented ThinPrint technology, is the leading provider of print management software and services for businesses. Whether printing from traditional PCs, mobile devices, thin clients, virtual desktops, or from the cloud, over 25,000 companies across all industries and of all sizes optimize their printing infrastructure and increase productivity thanks to ThinPrint. In addition, more than 100, and growing, Desktop-as-a-Service, and Software-as-a-Service providers deliver reliable, high-performance printing from the cloud to their customers all due to ThinPrint. The investment in ThinPrint leads to a fast ROI because the easy-to-implement and manage print system reduces the burden on IT departments, results in significant performance improvements to the network while ensuring optimal, reliable print support at every workplace. ThinPrint technologies and components enable its use in almost any infrastructure and take into account integration of branch and home offices as well as mobile employees. The solutions are developed and rigorously tested at ThinPrint’s headquarters in Berlin – software Made in Germany. Offices in the United States, the UK, Australia, Japan and Brazil, as well as more than 350 channel partners around the world offer direct and on-site customer care. Thanks to numerous OEM partnerships, ThinPrint technology components are integrated in a variety of terminals, print boxes and thin clients of leading hardware manufacturers. Special significance is placed on the strategic partnerships of the company with Citrix Systems, Fujitsu, Fuji Xerox, Hewlett-Packard, IGEL, Konica Minolta, Kyocera Mita, Lexmark, Microsoft, OKI, Samsung, VMware, Dell/Wyse and Xerox. Cheseaux-sur-Lausanne, Switzerland, and Phoenix (AZ), USA – January 8, 2019 – NAGRA, a Kudelski Group (SIX:KUD.S) company and the world’s leading independent provider of content protection and multiscreen television solutions, today announced that Telefónica, a global leader in telecommunications, has deployed the NAGRA Security Services Platform (SSP) managing the NAGRA Connect client to secure its Movistar IPTV service and 4K Ultra HD content in multiple countries with newest STBs. The announcement marks the first deployment of the NAGRA SSP and NAGRA Connect with a telco provider in an IPTV environment. The new security platform provides Telefónica with a single, 4K-ready content protection system capable of securing multiple devices types, from existing set-top boxes to next generation set-top boxes, as well as multiple use cases as required by the operator regarding live TV. It will also benefit content owners, ensuring them of the highest level of security for premium and enhanced content, such as 4K, and consumers, enabling access to new IPTV services in the operator’s newest markets, as well as to high-quality 4K content using a new generation of set-top boxes. The NAGRA Security Services Platform (SSP) goes beyond simple CAS and DRM management to give service providers complete control of content value protection across all of their networks, devices and use cases, and can be deployed on an operator’s premises or in the cloud, in a software-as-a-service model (SaaS). Its Connect client provides cable and IPTV service providers with a native IP security solution that combines the best of CAS and DRM solutions into a single client supporting connected broadcast, IPTV, operator and third-party OTT delivery (including Netﬂix), and in-home distribution. The Connect client features a unique Adaptive Security concept that pragmatically leverages the security infrastructure of any client device to uniformly address a wide range of STB generations, all from one single platform. The NAGRA SSP and its range of security solutions fully support Movielabs’ Enhanced Content Protection (ECP) profile Hollywood-approved for 4K Ultra HD content. NAGRA content value protection solutions, new cloud-based Security Service Platform, Anti-Piracy Services and NexGuard watermarking will be on display at CES 2019 in Las Vegas in NAGRA suite, The Venetian Meeting Rooms, Level 4, Zeno 4609, from January 8-11, 2019. For more information on NAGRA’s CES presence, please visit dtv.nagra.com/ces. Telefónica is one of the largest telecommunications companies in the world by market capitalization and number of customers with a comprehensive offering and quality of connectivity that is delivered over world class fixed, mobile and broadband networks. As a growing company it prides itself on providing a differential experience based both on its corporate values and a public position that defends customer interests. The company has a significant presence in 21 countries and 346 million accesses around the world. Telefónica has a strong presence in Spain, Europe and Latin America, where the company focuses an important part of its growth strategy. Telefónica is a 100% listed company, with more than 1.5 million direct shareholders. Its share capital currently comprises 5,037,804,990 ordinary shares traded on the Spanish Stock Market and on those in London, New York, Lima, and Buenos Aires. NAGRA, the digital TV division of the Kudelski Group (SIX:KUD.S), provides security and multiscreen user experience solutions for the monetization of digital media. The company offers content providers and DTV service providers worldwide secure, open and integrated platforms and applications over broadcast, broadband and mobile platforms, enabling compelling and personalized viewing experiences. Please visit dtv.nagra.com for more information and follow us on Twitter at @nagrakudelski. Cheseaux-sur-Lausanne, Switzerland, and Phoenix (AZ), USA – January 7, 2019 – NAGRA, a Kudelski Group (SIX:KUD.S) company and the world’s leading independent provider of content protection and multiscreen television solutions, along with Novatek, a leading silicon solution provider, today announced that Novatek’s next generation TV chipsets will natively support both NAGRA Connect and TVkey Cloud. In a first phase Novatek will use a Trusted Execution Environment (TEE) based device security framework to support NAGRA Connect, the award-winning converged CAS/DRM solution for connected set-top boxes and smart televisions, protecting broadcast, IPTV and operator-controlled OTT. In a next phase and as part of its 2020 silicon roadmap, Novatek will additionally onboard silicon support for TVkey Cloud, the next generation Enhanced Content Protection for Smart TVs equipped with market-proven TVkey hardware-based root of trust. NAGRA Connect and TVkey Cloud are managed from the NAGRA cloud.SSP Security-as-a-Service platform enabling a wide range of broadcast, IPTV and OTT service models. Jointly defined by NAGRA and Samsung, TVkey Cloud leverages the increased availability of internet-connected Smart TVs to combine the security capabilities of the TVkey embedded hardware in the TV with sophisticated security management systems in the cloud. TVkey Cloud enabled Smart TVs allow consumers to immediately access premium broadcast content on their new Smart TVs through a TV app with the ease of access as the established OTT service providers. TVkey Cloud is open to a wide ecosystem of industry players, including conditional access vendors and TV manufacturers, and complies with MovieLabs requirements for Enhanced Content Protection of 4K Ultra HD, HDR and early release content. NAGRA’s CES 2019 showcase will feature the complete line of NAGRA content value protection solutions and include NAGRA cloud.SSP, NAGRA Connect, TVkey, NAGRA Anti-Piracy Services and NexGuard watermarking at NAGRA’s new location in The Venetian Meeting Rooms, Level 4, Zeno 4609, from January 8-11, 2019. For more information on NAGRA’s CES 2019 presence, please visit our CES minisite. 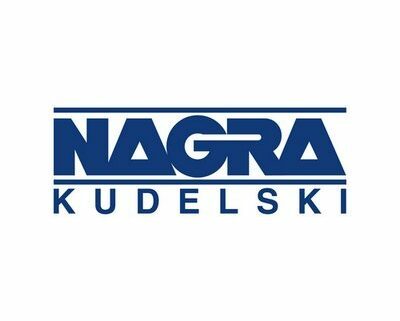 NAGRA, the digital TV division of the Kudelski Group (SIX:KUD.S), provides security and multiscreen user experience solutions for the monetization of digital media. The company provides content providers and DTV operators worldwide with secure, open and integrated platforms and applications over broadcast, broadband and mobile platforms, enabling compelling and personalized viewing experiences. Please visit dtv.nagra.com for more information and follow us on Twitter at @nagrakudelski. Novatek Microelectronics Corp. is a worldwide Top-10 fabless chip design company specializing in design, development and sales of a wide range of display driver ICs & SoC solutions to help our worldwide customers to meet their emerging needs for various flat-panel display and smart audio/video applications. (BERLIN/SAN FRANCISCO, January 7, 2019) VDI workstation printing has never been easier thanks to the collaboration between ThinPrint and Stratodesk. The ThinPrint Hub brings advanced printing capabilities to the Citrix Ready workspace hub. Not only that, it can now be managed directly from Stratodesk NoTouch Center, right next to existing endpoints. The Citrix Ready workspace hub, a progressive and disrupting endpoint device offering, for example by NComputing, truly has become a catalyst for a dramatic, industry-wide paradigm shift: the convergence of VDI and IoT management systems. The highly innovative joint solution will be on display at Citrix Summit in Orlando at the NComputing and Stratodesk booths. ThinPrint Hubs connect all network printers in remote locations to a central print system via a secure print tunnel. With the new ThinPrint Hub, print files are delivered compressed, bandwidth-controlled and, if required, even encrypted in order to ensure security and fast printing in remote locations and branch offices. In fact, the central print system makes installation of printer drivers in these locations obsolete. Just as with the Citrix Ready workspace hub, the ThinPrint Hub is a plug & play device ready for the enterprise workstation. And thanks to Stratodesk NoTouch Center, the automated management tool for both workspace and printing hubs, it is extremely easy for IT administrators to manage remote offices in a single pane of glass. Citrix Ready partners, Stratodesk and NComputing, have already teamed up to create a workstation solution that makes it extremely easy to set up and manage the Citrix Ready workspace hub. Citrix provides the software components to deliver virtual desktops, apps and data within a secure, smart space while also enabling exclusive features like Citrix Casting, proximity authentication, dual monitor support and many more. The maintenance-free Citrix Ready workspace hub, like the one from NComputing, is a highly cost-efficient Raspberry Pi 3 based endpoint, has been validated as Citrix Ready. It’s powered and managed by Stratodesk NoTouch software. Thanks to Citrix Casting, the Citrix Ready workspace hub also leverages smartphones. Users can roam their session from a smartphone (Android and iOS) to the workspace hub or redirect their display from a mobile device, tablet or laptop to an available workspace hub. Thus, they can take their session with them and work on a bigger screen whenever near a workspace hub. This leverage and enhances the mobility of users, increasing their productivity and significantly enhancing user experience. The solution will be exhibited at Citrix Summit in the Solutions Expo in Orlando at NComputing’s booth 511 and Stratodesk’s booth 404. ThinPrint, with nearly 20 years of continuous development and internationally patented ThinPrint technology, is the leading provider of print management software and services for businesses. Whether printing from traditional PCs, mobile devices, thin clients, virtual desktops, or from the cloud, over 25,000 companies across all industries and of all sizes optimize their printing infrastructure and increase productivity thanks to ThinPrint. In addition, more than 100, and growing, Desktop-as-a-Service, and Software-as-a-Service providers deliver reliable, high-performance printing from the cloud to their customers all due to ThinPrint. The investment in ThinPrint leads to a fast ROI because the easy-to-implement and manage print system reduces the burden on IT departments, results in significant performance improvements to the network while ensuring optimal, reliable print support at every workplace. ThinPrint technologies and components enable its use in almost any infrastructure and take into account integration of branch and home offices as well as mobile employees. The solutions are developed and rigorously tested at ThinPrint’s headquarters in Berlin – software Made in Germany. Offices in the United States, the UK, Australia, Japan and Brazil, as well as more than 350 channel partners around the world offer direct and on-site customer care. Thanks to numerous OEM partnerships, ThinPrint technology components are integrated in a variety of terminals, print boxes and thin client of leading hardware manufacturers. Special significance is placed on the strategic partnerships of the company with Citrix Systems, Fujitsu, Fuji Xerox, Hewlett-Packard, Konica Minolta, Kyocera Mita, Lexmark, Microsoft, OKI, Samsung and VMware. Cheseaux-sur-Lauisanne, Switzerland, and Phoenix (AZ), USA – December 4 , 2018 – NAGRA, a Kudelski Group (SIX:KUD.S) company and the world’s leading independent provider of content protection and multiscreen television solutions, announced today it is securing EON, the latest video service launched by United Group, the leading telecoms and media provider in South East Europe, in four markets: Serbia (SBB), Slovenia (Telemach), Bosnia and Herzegovina (Telemach), and Montenegro (Telemach). Developed by United Cloud, United Groups’ innovation center, the EON platform is the first 4K Android TV hybrid deployment in the Balkans. EON offers the option of scrolling back programs up to 7 days, more than 12,500 titles of local and foreign films and series within Video Club, as well as Formula One and La Liga coverage in 4K and a variety of advanced functions. Subscribers have access to YouTube, Google Play Music, Google Play Movies & TV, download and play games from Google Play Games, as well as thousands of other apps from the Google Play Store. Conax cardless solution is based on the highly flexible, robust Conax Contego unified security back-end. Part of the NAGRA content protection portfolio of advanced and off-the-shelf security solutions, Conax Contego is developed for seamless support and integration of all major distribution technologies and formats including UHD/4K, smart cards, cardless, next generation IPTV security, advanced multi-DRM / OTT services and new hybrid network combinations. leading cable operator in Serbia), Telemach Slovenia (the leading cable operator and the fastest growing mobile operator in Slovenia), Telemach Bosnia and Herzegovina (the leading cable operator in Bosnia and Herzegovina), United Media (the leading content business, as well as advertising sales business), United Cloud (R&D Center) and other businesses including NetTV Plus (a leading provider of telecom services over the internet). The Group also provides services using a number of ancillary brands resulting from its growth across the region. Cheseaux-sur-Lausanne, Switzerland, and Phoenix (AZ), USA, November 27, 2018 – NAGRA, a Kudelski Group (SIX:KUD.S) company and the world’s leading independent provider of content protection and multiscreen television solutions, and NOS, Portugal’s leading communications and entertainment company, are stepping up the fight against broadcast and streaming piracy of Benfica soccer league matches. NOS, which owns the rights to Benfica games and the distribution rights for the Benfica TV channel, will leverage NAGRA Anti-Piracy Services to fight broadcast piracy – also known as control-word sharing – and streaming piracy of Benfica content across the web, social media and illegal IPTV services. NAGRA Anti-Piracy Services help service providers, content owners and sports rights holders improve their defence against all forms of piracy – from open and highly visible piracy on the internet and social media, to control-word sharing and illegal commercial IPTV piracy services – by combining deep intelligence about global pirate networks with real-time monitoring, takedown and litigation services, on-the-ground expertise and forensic watermarking technologies. Join NAGRA at the SportsPro OTT Summit in Madrid on November 28-29. In the session “Protecting premium live sports from streaming piracy” on November 28 at 16:00, Simon Trudelle, Senior Director Product Marketing, along with other panellists, will address how rights holders and broadcasters can protect their streams and prosper in the new OTT economy, and to what extent the challenge of monitoring streaming activity and protecting copyrighted sports content has grown more complex. Cheseaux, Switzerland, and Phoenix, AZ – November 19, 2018 – NAGRA, a Kudelski Group (SIX:KUD.S) company and the world’s leading independent provider of content protection and multiscreen television solutions, today announced that its NexGuard watermarking solution has been integrated with the Amazon Cloudfront Content Delivery Network (CDN). The combined solution was commercially deployed by a major Hollywood studio, enabling the content owner to stream its video content to viewers across the world in an efficient and highly scalable way, while securing robust security and traceability of its premium assets. The solution enables session-based watermarking when streaming content to any device (PC, tablet, connected TV, game console, etc.) without requiring any change in the player applications. NexGuard watermarking leverages streaming technology to create a unique watermark for each session on live and file-based video streams, empowering service providers to fight illegal redistribution of their content. It supports Apple® HLS, MPEG-DASH and all popular DRM methods, including NAGRA PRM. NAGRA also offers anti-piracy monitoring and cloud-based watermark detection services to identify and stop pirate sources in near real-time. DENVER and BERLIN, November 6, 2018 –– 10ZiG Technology, a world leader in Thin and Zero Client endpoints for desktop virtualization, and ThinPrint, provider of the world’s leading print management software of the same name, have entered into an OEM partnership. As part of the cooperation, the ThinPrint Client has been integrated into 10ZiG Thin Clients for fast, high-performance printing. 10ZiG Zero Clients can also print plug and play securely and quickly with the ThinPrint Hub, even when using a print server. 10ZiG Technology is a world-market leader in Thin Client & Zero Client endpoint devices for Virtual Desktop Infrastructure. 10ZiG provides leading Intel and AMD based Dual and Quad Core Thin Clients and Zero Clients for Citrix (HDX, HDX Premium, HDX 3D Pro), VMware PCoIP & Blast Extreme, and Microsoft environments, as well as the widest range of Teradici PCoIP Zero Clients on the market. 10ZiG offers free, no-obligation demo devices, Technical Support teams based in the U.S. and U.K., and provides “The 10ZiG Manager” endpoint management console with cloud capabilities completely free with unlimited user licenses supported. Get a free evaluation device today at www.10ZiG.com. NEW YORK – October 30, 2018 – The Association for Passive Optical LAN (APOLAN), the non-profit organization driving both education and adoption for passive optical local area networks (POL), today released the findings of its APOLAN member survey, naming the top five factors that are driving the adoption of POL. These factors play a significant role in streamlining organizations’ smart building digital transformation strategies aimed to keep pace with the latest technology demands, such as IoT and mobility applications. Cloud: While classic LANs were originally designed to carry traffic between computers in a building or campus, today’s LAN must connect users to their software as-a-service (SaaS) applications running in the cloud. Unlike legacy systems, POL extends broadband Internet to LAN users by providing a superior connection experience to SaaS applications. Investment Protection: Cost is always a key consideration when determining the best technology and investment strategy. A lower-cost, future-ready medium, fiber LAN provides utility and ROI for many decades beyond what is feasible with copper LAN cabling. With less equipment and lower energy and cooling needs, POL is simpler to deploy and to maintain, delivering greater CapEx and OpEx savings. It also eliminates the need for telecom closets, enabling organizations to convert this extra space into more revenue-generating areas. Mobile Connectivity: Today’s advances in Wi-Fi, such as 802.11ax, not only carry more traffic than ever before, but also require networks to support a large number of users in a small area. Driven by this user demand and the significant influx of IoT applications, areas must also accommodate a growing number of connected devices, with each expected to guarantee superior accessibility. POL is an ideal match for these high-density scenarios as its level of connectivity meets the growing demand for mobile services and wireless technologies, and enables integration with a facility or campus wireless network infrastructure, including Wi-Fi and DAS, to ensure optimal results. Network Convergence: Organizations struggle to ensure scalability that accommodates changing bandwidth needs, as well as availability that keeps business going with no unplanned interruptions. POL’s ability to converge all services on one network provides unparalleled speed, reliability and future-proof scalability. Security: Protecting valuable data and assets is a growing concern for many organizations. The good news is POL reduces network points of vulnerability and has a proven track record of improving security for military agencies and government facilities. Unlike copper-based LANs, POL is not susceptible to electromagnetic interference, making it impossible to tap. In addition, it uses a centralized element management interface, which results in a reduction of human errors, and therefore, better security when performing everyday network configuration changes. APOLAN members are among the most innovative players in the market in shaping the future of network connectivity. The survey was open to all Association members to provide insights into the key network and technology trends and topics relevant to today’s evolving market. For information visit http://www.apolanglobal.org/. Cheseaux, Switzerland, and Phoenix, AZ – October 17, 2018 – NAGRA, a Kudelski Group (SIX:KUD.S) company and the world’s leading independent provider of content protection and multiscreen television solutions, announces the launch of a secure multiscreen solution with pay-TV operator Ultravision, part of the Ultra Telecom group, in Mexico. The solution marks the first cloud deployment of the Conax GO Live solution in Mexico. Ultravision’s new multiscreen service UltraTV, which is expected to launch this month, will enable its subscribers to watch the best linear pay-TV channels in Puebla, Mexico using their iOS or Android mobile devices. It will also offer advanced features like start-over, catch-up and trick-play with full Electronic Program Guide (EPG) functionality on linear TV channels enabling a 24/7 service. NAGRA enables the new Ultravision’s service UltraTV with pre-integrated, best-of-breed partner technology to create an end-to-end IPTV multiscreen solution that was ready to deploy in less than 30 days. It includes a content management system and white-label apps for iOS and Android mobile devices. End-users can also cast their content to a TV screen using Google Cast or Apple AirPlay. Running on AWS, the Conax GO Live solution operates on the Conax Contego unified content security platform supporting major native DRMs. Conax Contego is a highly flexible platform designed with operational efficiency and cost optimization in mind and supports all distribution network technologies, consumer devices and security clients from a unified management system. Conax Contego can be deployed on-site, from a private cloud or a public cloud, managed by the pay-TV operator or as a fully managed service. NAGRA, a digital TV division of the Kudelski Group (SIX:KUD.S), provides security and multiscreen user experience solutions for the monetization of digital media. The company supplies content providers and DTV operators worldwide with secure, open and integrated platforms and applications over broadcast, broadband and mobile platforms, enabling compelling and personalized viewing experiences. Please visit dtv.nagra.com for more information and follow us on Twitter at @nagrakudelski.